Armbruster Artworks | Covington, Mandeville, Northshore Art Gallery and School | Gretchen Armbruster captures the color of Louisiana in her paintings and portraits. 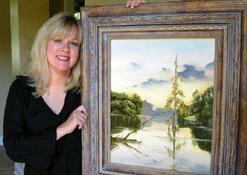 She teaches art classes for all levels at her art school and gallery in Covington. Visit the workshop page for more info about fine art instruction. 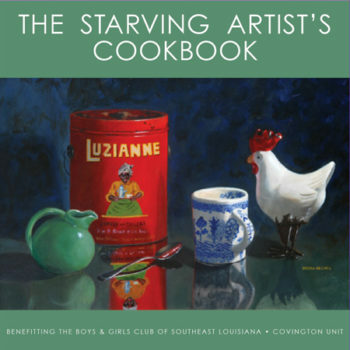 The very generous local artists of St. Tammany and Armbruster Artworks have come together to create a special Cookbook for Charity. 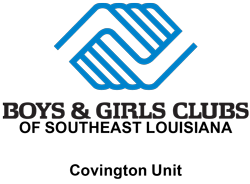 Your support would benefit the local Covington Boys and Girls Club in helping to provide children with a great future. If you have any questions or would like to sign up please contact Gretchen Armbruster. Artist Gretchen Armbruster is a south Louisiana artist working in oils, watercolor and pencil mediums. Early studies were under the direction of Robert Rosbach, David Jinks, and Alan Flattman. After majoring in art at Louisiana State University, she continued her art education at John McCrady art college and New Orleans Art Institute. Her Landscapes, nudes and still life oil paintings are found in galleries across the country. She captures the colorful area that she grew up in through depictions of carnival, jazz and local personalities and is a highly sought after portrait artist. Notable works include the annual “Crescent City Classic” posters for 2004-2006, annual “Krewe of Bacchus” artwork for 12 years, extensive murals in the Old Absinthe house on Bourbon Street, 2010 Lombardi poster design, featured cover artist of “Inside Northside” magazine, and label designer for a California vintner. In addition, Gretchen has completed many commissions for area hospitals, businesses and restaurants. Her paintings of horses were featured in the national magazine “American Art Collector”. Her artwork has even appeared on the big screen in the movie “He Said She Said”. Gretchen is available for art instruction at her art school in Covington, Louisiana. See Gretchen’s paintings, portraits, and other artists’ work at the gallery. Contact Gretchen Armbruster to inquire about her paintings, portraits, or fine art instruction. Feel free to call her at 985-630-6295, send her an email at garmbruster1060@yahoo.com, or stop by the gallery! Armbruster Artworks Fine Art Gallery is located at 502 N Columbia St, Covington, LA 70433. Click here for directions.